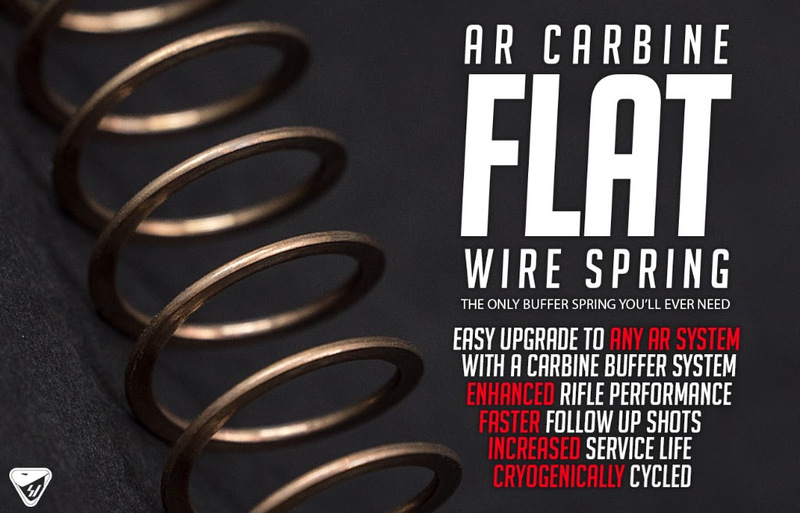 Strike Industries SI AR Carbine Flat Wire Action/Buffer Spring for Tactical AR-15/M4/M4A1 Carbines! | DefenseReview.com (DR): An online tactical technology and military defense technology magazine with particular focus on the latest and greatest tactical firearms news (tactical gun news), tactical gear news and tactical shooting news. 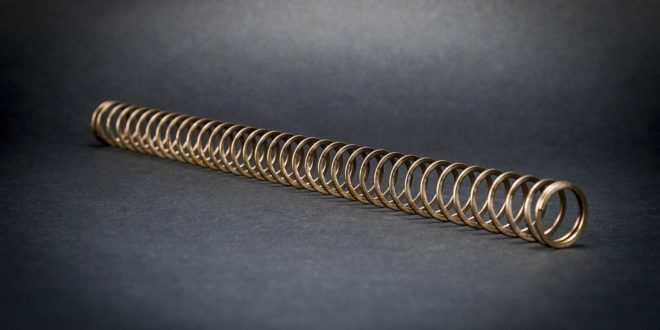 A quality action/buffer spring is one of the most important parts in a tactical AR carbine/SBR (Short Barreled Rifle), as it’s crucial for reliable functioning, proper timing, and the required level of weapon durability. So, you shouldn’t skimp on one, nor should you choose one carelessly. Now, for years, we here at DefenseReview (DR) have been big fans of Sprinco AR (AR-15) action/buffer springs, particularly since highly-knowledgable guys like DR writer/contributor Mike Pannone use and swear by them. And, we still are. 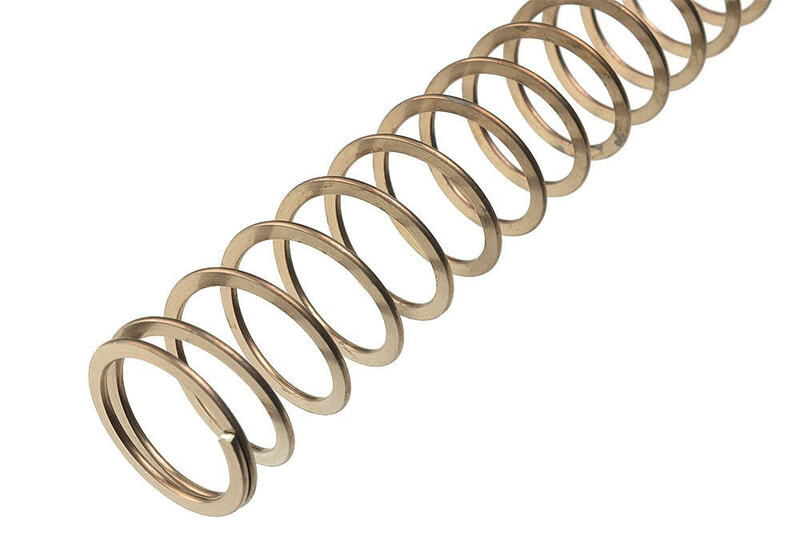 Sprinco springs are great. 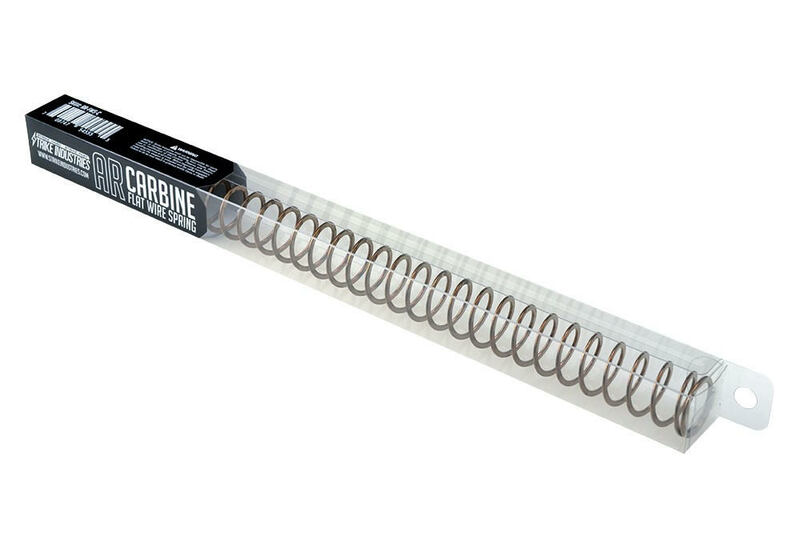 However, it looks like Sprinco just got some more competition with the introduction of the Strike Industries SI AR Flat Wire Spring action/buffer spring. Strike Industries has really been on a new-product-development tear as of late (for the last few years, actually), developing so many new high-quality, great bang-for-the-buck products so quickly that we can’t even keep up with (or keep track of) all of them. Anyway, a little more competition in the tactical AR action/buffer spring arena is a healthy thing, and quality products are always welcome here, period. 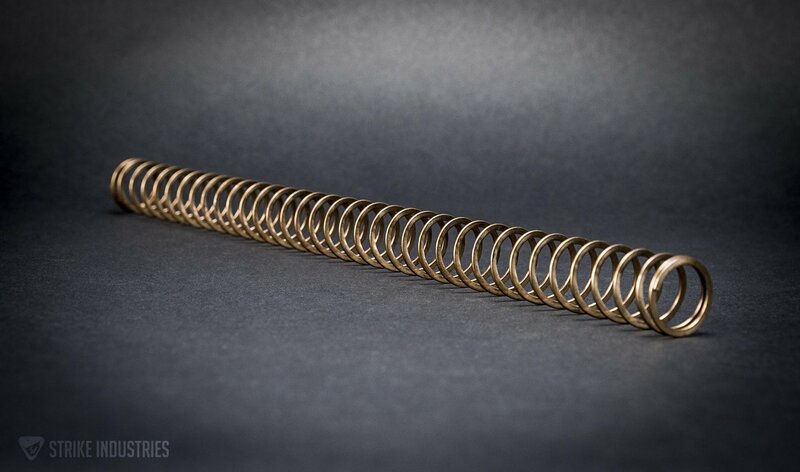 So, we’re very glad to see the SI AR Flat Wire Spring come to market, and we can’t wait to try one out. More specifically, we can’t wait for DR writer/contributor and chief new-product tester Jeff Gurwitch to try one out for us. Gurwitch is both a highly-combat-experienced military SOF (Special Operations Forces) assaulter/operator AND a 3-Gun competitive shooter, so if he says the new spring’s good to go, it’s good to go. Our three primary initial questions are 1) What’s the SI AR Carbine Flat Wire Spring’s length and weight? 2) Does SI plan to introduce additional SI AR Carbine Flat Wire Springs of different weights and lengths for different AR setups with different buffer weights and barrel lengths, including 10.3″-12.5″? 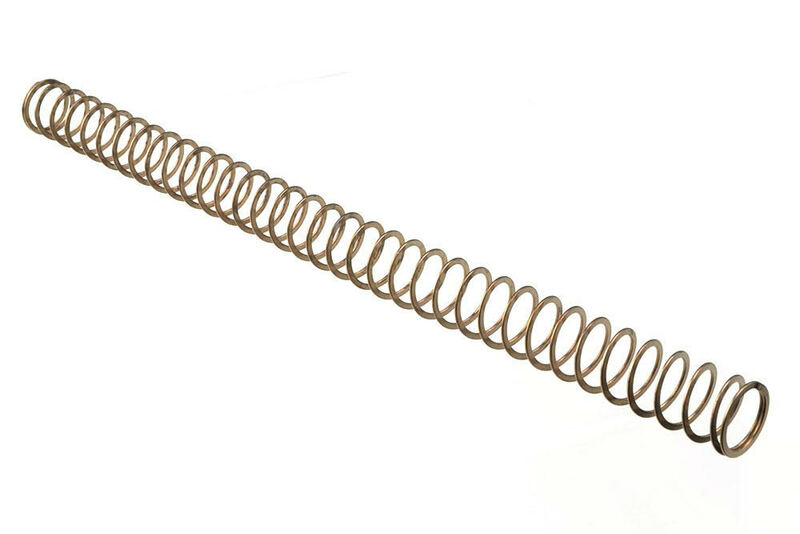 And, 3) How does the SI AR Carbine Flat Wire Spring stack up against the comparable Sprinco action/buffer spring? Previous: High Ready Weapons-Handling Position for Combat/Tactical Shooting Applications and (Direct-Action) Military Special Operations: High Ready or Not, Here I Come!